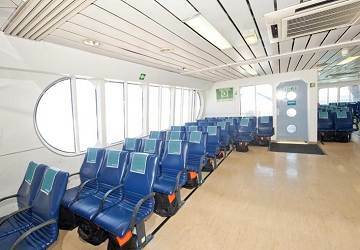 The fast ferry Jaume III along with her sister ships in the Jaume series can carry up to 650 passengers and 140 vehicles. 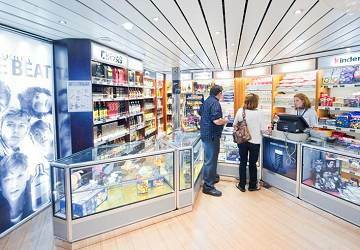 Onboard you'll find a bar/cafeteria, luggage lockers for foot passengers, numerous seating areas and an onboard shop. Please Note: Whilst we have taken great care in making our Jaume III guide as accurate as possible, onboard facilities, services and entertainment may vary depending on the date and time of year that you travel, facilities mentioned may change without notification and ferry companies reserve the right to operate vessels other than those mentioned at time of booking without prior notification. Had a great and easy journey. I messed up on the booking and got the journey crossing wrong, which meant we needed to change the journey route. This was done with no hesitation and for a very small fee. We also got to see the sun set which was an added bonus. Excellent journey. 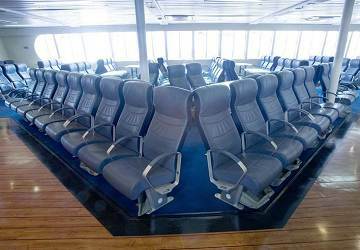 Comfortable ferry. So easy to catch and visit different places whilst on holiday. Confortable trip, flat sea. It was absolutely not tiring, you slepp very well. :) Not really clean but it is ok. 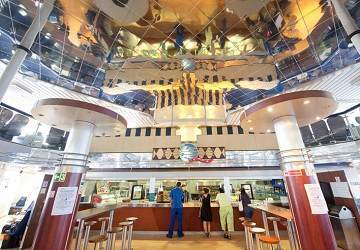 Excellent service arriving in Barca 2 hours early which was very welcome. 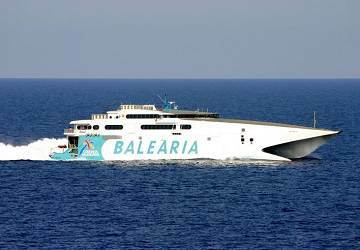 "Feedback on ferry trip with Balearia"
The ferry is a great way to experience the crossing between Menorca and Malllorca. 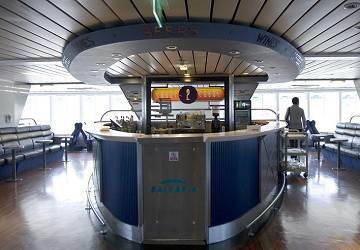 Balearia have thought about how to make the journey pleasurable and this is appreciated by passengers. It would be great if the movies were subtitled in English as Balearia makes all the announcements in Spanish and English but the movies are only in Spanish. 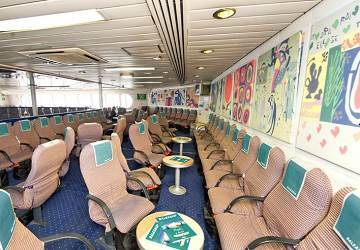 We travelled from Denia to Ibiza in September 2014 as foot passengers. We opted for the first class ticket. Other than that below, we have no criticisms. About 4 weeks before our journey the ferry company changed the time of departure from 5pm to 8pm. This was inconvenient for us because it meant that we would have arrived very late in Ibiza. But the company allowed us to change to the 9am departure, free of charge. Arriving in Ibiza we had to carry our luggage down a long staircase; the stair-free connecting bridge to the terminal did not seem to be in operation. 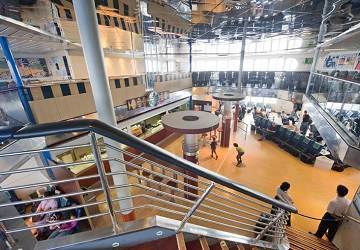 Too bad that the tickets at the Balearia port office for the return trip from Denia to San Antonio (Ibiza) were €318. 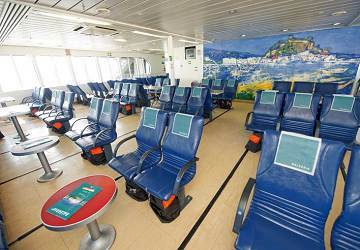 I booked through Directferries and paid €347, meaning I paid €29 more! You should have told me it was cheaper to book at the port. "Glad we took the Denia-Ibiza route"
It was much cheaper than the other options for Valencia and faster. I would have expected more signage at the port at the Ibiza end since we are tourists and needed to know where the nearest bus station, taxi rank would be located. luckiy a member of staff gave us some instructions. 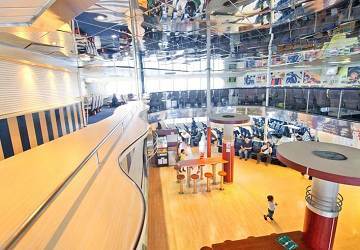 Staff very friendly and kind, modern ship with very comfortable seats. Highly recommended. "long waiting and late departure"
the travel with fast ferry very fast and confortable , i 'd refer to book in advance the seat in first class. it worth it , ontime and the travel seemed very short, can the children travel alone?